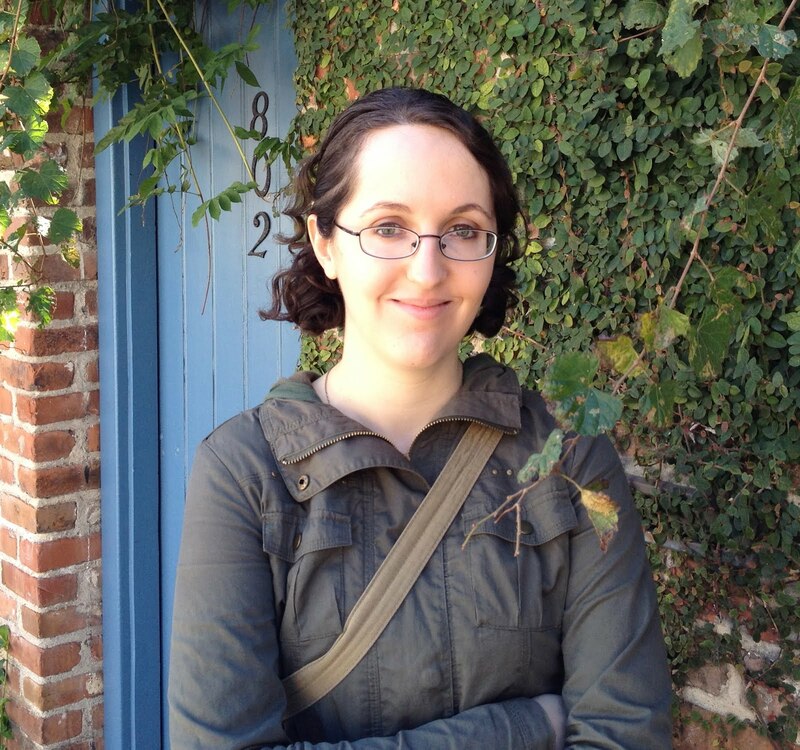 This week’s interview is with TV writer Rebecca Kirsch. Rebecca worked as Writers’ Assistant for “Leverage” series Creators and Executive Producers John Rogers and Chris Downey from Seasons 1-3, writing two freelance episodes during that time, and was promoted to Staff Writer in Season 4. She is represented by ICM and we’re excited to have her on board as a speaker for the 2012 Austin Film Festival & Conference. Our interview questions come from Austin Film Festival Conference Director Maya Perez and Amanda Keach Martin, Austin Film Festival’s “On-Story” Development Director. AFF: Are there real life vigilantes, like the characters in “Leverage”, that help the innocent that have been wronged? Where do the show’s writers get such great material to write about? Kirsch: “Leverage” is about a team of modern day Robin Hoods who right the wrongs inflicted by the rich and powerful on the common man. Unfortunately, in the era of Bernie Madoff, the global recession, bank bailouts and predatory lending, our writing staff doesn’t need to look very far in the real world to find story inspiration or villains for our five heroes to tackle. Additionally, our “Leverage” writers bring multi-varied backgrounds and life experiences to the room, which greatly influence our episodes. Co-creators, co-showrunners and executive producers John Rogers and Chris Downey encourage our writing staff to pitch story ideas freely, and for us each to support and encourage the pitches of our fellow writers with the aim of making the very best show we possibly can together. With that positive and open vibe to the Writers’ Room, our writing team has a great deal of fun coming up with different and unique ways for our five heroes to take down our villains. AFF: What’s your writing routine and process? Kirsch: My home office is decorated mad-scientist-chic with floor-to-ceiling index cards, flow charts, mind maps and research photos for the various projects I’m working on; I’m a very visual learner, and find that having a layout of the story in front of me while I write is essential. When outlining a new project, I use multi-colored index cards to break out the story beats, a technique I first learned at Chapman University from a great mentor of mine, professor James Macak (AFF moderator and pitch competition winner). The “Leverage” writers’ room uses a similar but more elaborate technique with different colored cards used to break the story in a specific progression of steps, from general concept to more specific arenas and keynote moments, all the way to individual slug-lined scenes. Outlining tends to be the hardest part of the process for me, but a very necessary one. Before I allow myself to tackle script pages, I make sure that I have a solid game plan set in stone in the outline. At script stage, I’m always eager to skip ahead and write favored scenes I’ve been looking forward to, but for the first “hack draft” (a phrase borrowed from 2004 AFF winner and former “Leverage” writer Christine Boylan), I aim to just get everything down on paper chronologically, and will only then revise once I’m past the initial daunting hurdle of the blank page. AFF: How did you break into television, and what advice do you have for others trying to do the same? Kirsch: I left school with the advice and drive to land a TV Writers’ Assistant gig. After a few internships, I was offered a Development Assistant position at Dean Devlin’s independent studio, Electric Entertainment. I worked for two years with Director of Development Marc Roskin to bring in new material to the studio, and to develop their current slate of film and television projects. It was a fantastic opportunity to discuss story on a daily basis, to read the works of other writers, and to work with and learn from an amazing group of talented producers. Two years later, when “Leverage” was picked up to series, I was promoted to the Writers’ Assistant position, thanks to the support of my bosses. Having been a part of the series since its very start, I’ve been lucky enough to learn everything about working in television from John Rogers and Chris Downey, and I am so privileged to work with them and the rest of our amazing writing staff. With their support and encouragement, I wrote two episodes during my three years as Writers’ Assistant, and was promoted to Staff Writer in our fourth season. Leaving film school in search of a television writing career felt daunting because there appeared to be no exact and precise path to my particular goal — each success story I heard was wholly unique. During the day, I tried to fight the good fight as an assistant, and on nights and weekends I focused on sharpening my skills by writing and rewriting spec scripts. No matter how busy your day job keeps you, be it industry-related or not, my advice would be to always keep challenging your skills as a writer. Don’t just talk about what you want to write; write it. Thanks, Becky, and we’ll see you in October!